Today, we’re taking a departure from the beauty-focused theme of previous ‘Anastasia Answers’ to peek at a few of Anastasia’s favorite fine art influences – of which there are many. To anyone familiar with the founding pillars of Anastasia Beverly Hills, it should come as no surprise that her upbringing was steeped in classical art teachings that continue to influence her to this day. After all, it was Leonardo da Vinci’s principle of the Golden Ratio that she first applied to brows in pursuit of bringing balance and proportion to each individual face. We’re excited to share with you Anastasia’s take on three heavy hitters in the art world – Giacometti, Brâncuși, and Picasso. It’s a great trio to start the conversation of the capability of art and its history to radiate forward, influencing a life infinitely beyond the commitment of dates and names to memory. What in particular intrigues you about this artist? It’s the way he would start a piece and not want to finish it. He would begin a painting and become so obsessed with perfection that he would destroy it or cover it with something else to start anew. It’s so interesting that it was perfection that he was after, and it was perfection that he felt was out of reach. I’m also so inspired by his iconic elongation of the figure. Any pieces that stand out to you? His chandeliers that hang in the Picasso Museum in Paris. 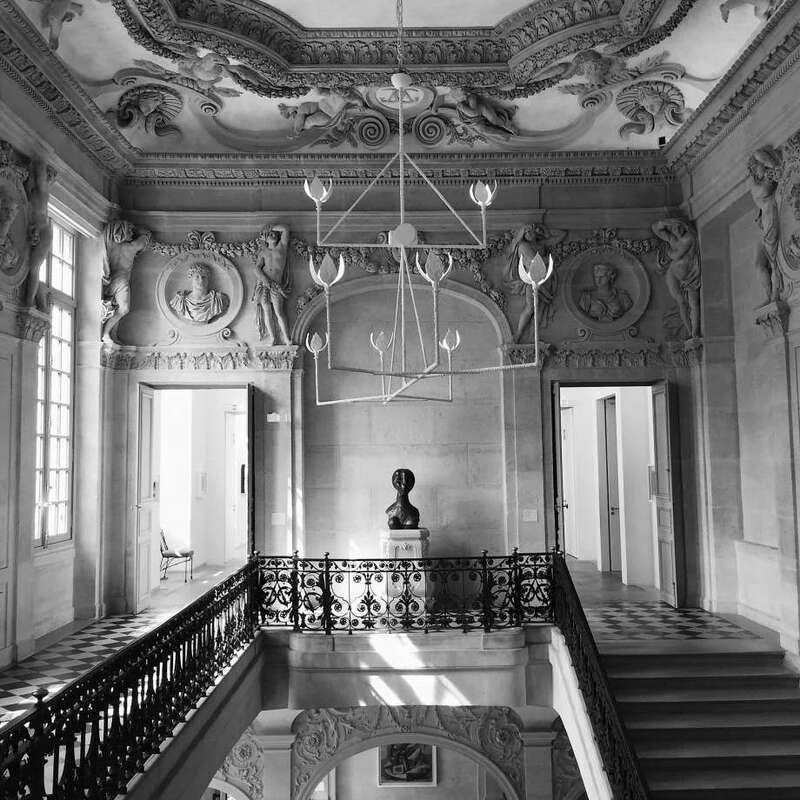 The placement of this chandelier is in a magnificent staircase with that French stone and classic interior. The combination is simple and goes against everything else French. In the same museum, he also has benches that are to die for. Even if you don’t know they’re Giacometti, you can’t stop looking at them. It’s something about the form, the way he handled the metal. Giacometti’s work is so ahead of his time; nothing is refined about it. Anything he creates could be 2000 years old or of this century. It belongs to no fixed time and has an elegance that’s undefinable. Brâncuși was a man from Romania, a peasant from the countryside who was chopping wood. He went to France in 1904 during a time that it was extremely unusual for a man of those means to know of and pay his way to Paris. He was actually Rodin’s student, but left after six months saying, “nothing grows under the shadow of a big tree.” He was a visionary. Take for example Bird in Space, a geometric, aerodynamic flash of metal extending upwards from a base. How was this piece created in that time? 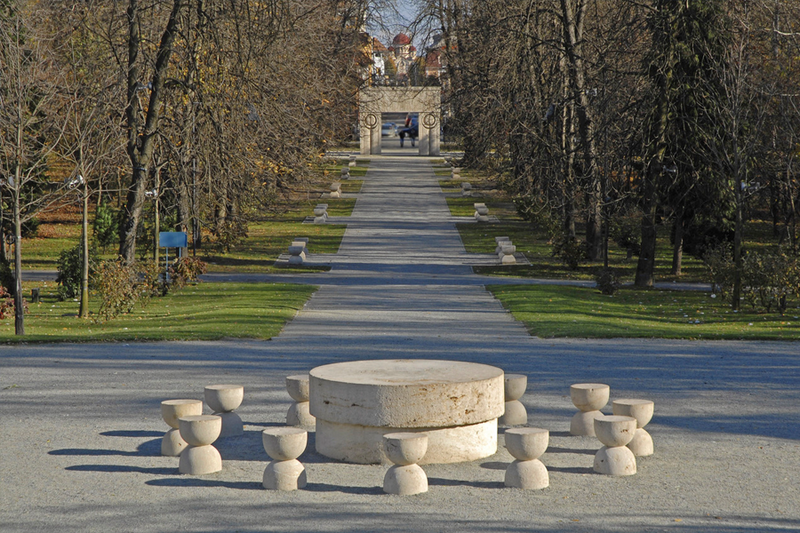 There is a park in Tîrgu-Jiu, Romania that has three pieces, I think his only public artworks. There’s Endless Column, The Gate of the Kiss, and Table of Silence. We would go on field trips and I remember playing and sitting on that table. I grew up among those pieces. He went back to the place where he was from, it was the spirit of return. There’s another piece, Măiastra, that doesn’t quite translate, but it was a bird that could sing so beautifully that you wake up under the sun. I don’t know, maybe he was missing Romania in that moment. 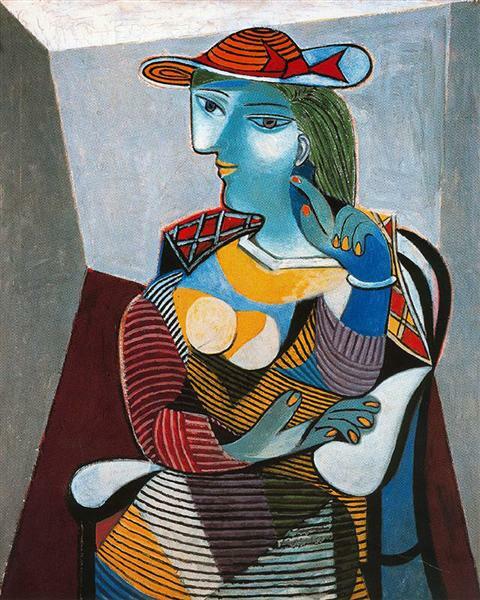 Picasso was one of the best marketers that ever existed in the art world. It was him, and the not another quite like it until Andy Warhol. He was talented, created his own pathways, and I love that he seemed to always be in need of a muse. He couldn’t exist without one. I love his early paintings because it shows just how much he changed. He went through so many styles, and it shows how much a person can evolve, be moved by internal and external forces. 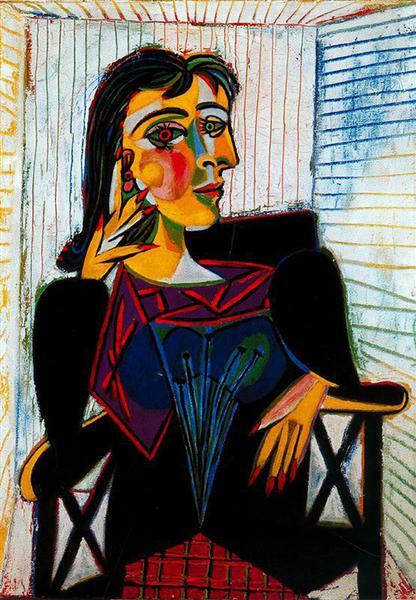 A painting I love is Head of a Woman (Dora Maar). And I love the Portrait of Marie-Thérèse Walter. You could really read his paintings when he was in love, and you could also feel when he had moved on. Even his emotions were in a constant state of flux. Have an artist for Anastasia to consider? Don’t forget to email thearch@anastasiabeverlyhills.com with your own suggestions and questions.